rafa and djokovic. . Wallpaper and background images in the Novak Djokovic club tagged: novak naked excited gay bulge. 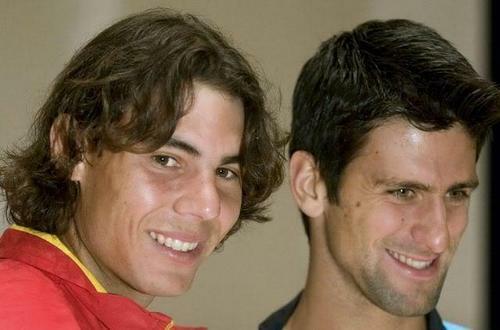 This Novak Djokovic photo contains portrait, headshot, and closeup.